A wonderful event last Tuesday as we welcomed the Wanderers from Australia , the club was full of excitement and energy even after the exploits on the field. 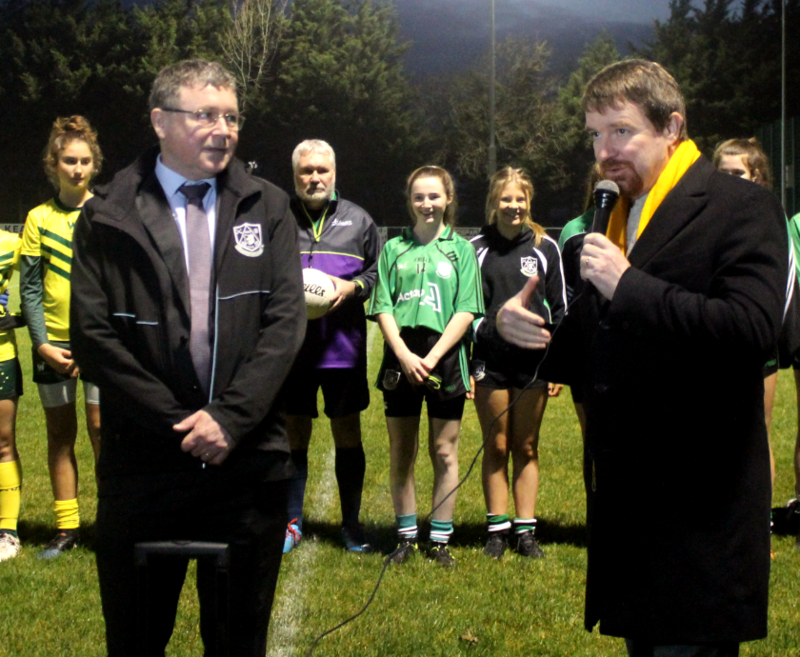 A big thanks to Paddy Lyons and all his helpers, once again our volunteers showed off all that is good in the club. 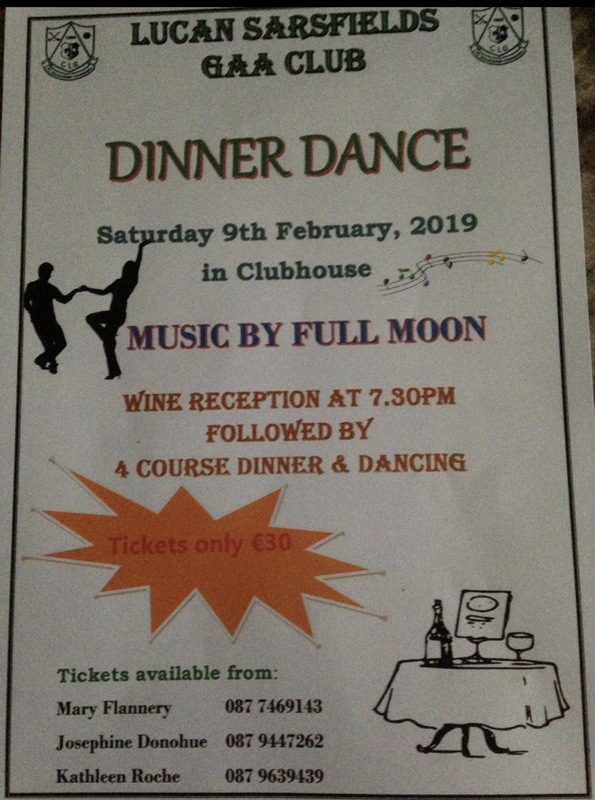 And to the Next Event we have our Annual Dinner Dance on the 9th February , this very popular event is a ticket affair and tickets are limited so don’t miss out contact Kathleen, Mary or Josephine asap to secure a place. Tickets €30 includes wine reception and a 4 course dinner, and Dancing after. Table Quiz for Elizabeth McNicholas - Friday February 15th. Also watch out for the (new) calendar of events for the club house! 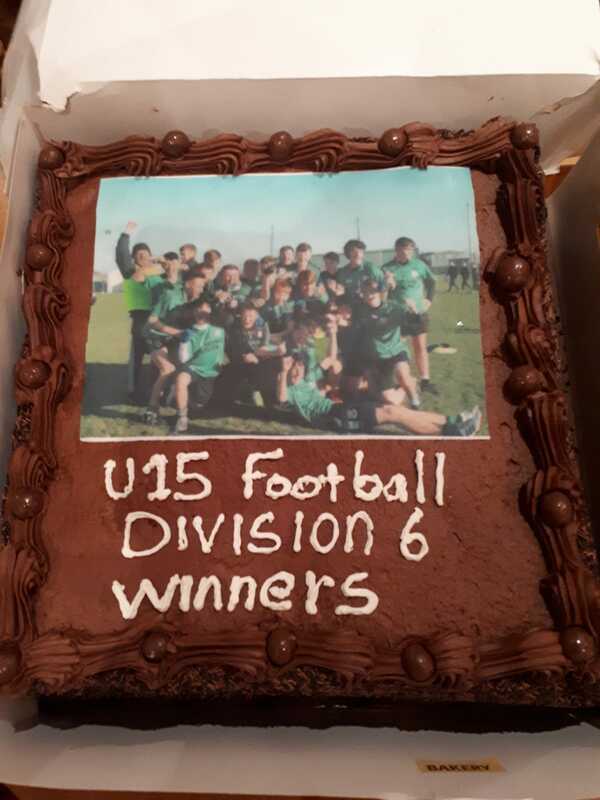 Last night Lucan Sarsfields U15B division 6 league winners 2018 had there medal presentation in Club House, it was wonderful night. The management would like thank all the players as they created the night due to their last minute goal against St.Patrick's Palmerstown. 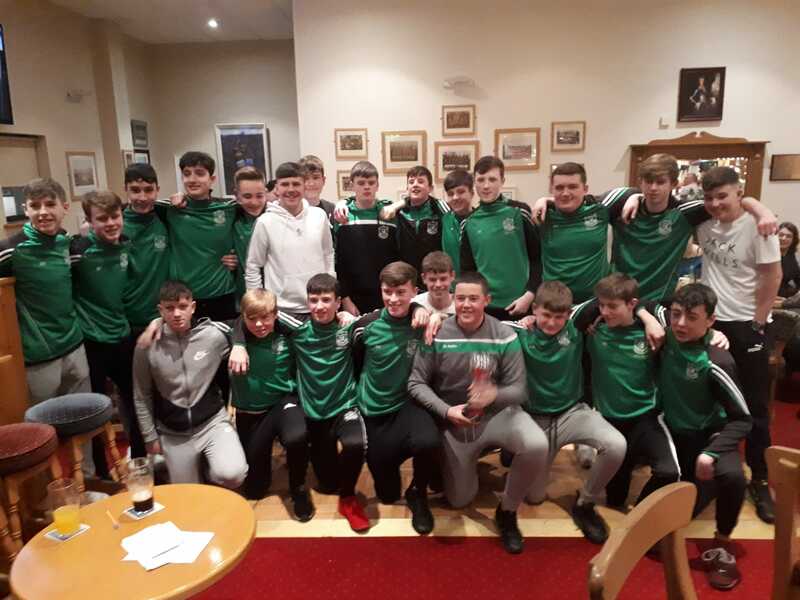 They would also like to thank on behalf of Brendan,Paddy,and Noel the Bar staff on the night, Paddy Ryan for lovely food and Brendan McInerney for sounds on the night and not to forget the parents who all turned out on the night. 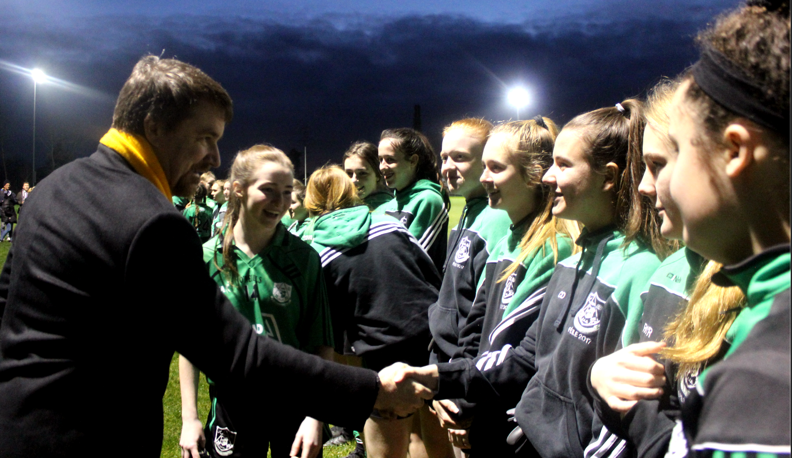 Congratulations to the 5 Lucan Sarsfields Girls who made the Dublin Camogie U16s squad for 2019: Lauren Dawson (c), Pheobe Shannon, Millie Reid, Sinead Daly, Lilly Rooney and a particularly fine achievement to see Lauren captaining the side another great Lucan Captain of a Dublin team. We wish the team, management and the whole squad all the best for the year ahead. Well done to Luara Quinn (Dub Snrs) and Lauren Finn (Jnrs) who took part in the Dub Stars games over the weekend. Also well done to CJ Smith and Darren Gavin who lined out with Dublin against Meath on Saturday night in the O’Byrne Cup semi-final. The final is on next Friday v Westmeath in Parnell Park at 8.00PM, and we wish them luck, we might see CJ take a penalty this time! Lotto There was no winner of the lotto on the 10th January; Numbers were 4, 6, 14 and 20. Next weeks’ jackpot €9,400, draw will be managed by Edel Mooney and is sponsored by Feargal McCarthy, Painter and Decorator. Lucky Dips Winners: SMEGS, Gerry Reynolds, Crónan Dooley, John Healy, Mona+Olive. Play Online here, Or Tickets can be purchased at the Club, or in Kenny’s Vesey Arms. Our deepest condolences to the McNulty family on the recent loss of Hugh, RIP. Sars Stars – ‘GAA for All’ Tuesdays in Scoil Mhuire, Airlie Heights, all welcome, 5pm-5:45pm. Lucan District CREDIT UNION Academy Saturday mornings 9:30am Girls, 10am Boys. Zumba classes Tuesdays 7.30pm - 8.30pm. €8 per class, €5 for students. 25 Card Drive every Friday in the Bar, 8.00pm. Entry: €5 per person. 1st Prize: €50, 2nd Prize if 3 or more tables. Everyone Welcome. CÚPLA FOCAL’ Mondays, 8pm to 9pm. Club Shop re-opens the 19th Jan.